There are a few things in your home that can give such an impact to your home. One of those things is the exterior of your house. We will take you through a few steps on how you can DIY or Do-It-Yourself painting your own home and save a few bucks. One of the very first things that you should be doing is preparing your walls. You wouldn’t want to look at uneven surfaces. Also you will be wasting a lot of money for painting on an uneven surface. If you’re repainting your old home, to rejuvenate its look, make sure that to repair any chippings, imperfections and mildew. Remove mildew by applying a chlorine bleach solution and spraying it over the mildew. Then you can use a high pressure water blaster to clean off excess dirt and even those paint that becomes skin-like when they loosen. Also as a reminder, place rags or cloths over the floor, bushes and other areas that you would not want paint on. Before anything else, prepare a batch of caulk. Make sure to seal any cracks especially the micro ones, and even the corners and joints where window frames, door frames and molding meet the wall. Quality over price. 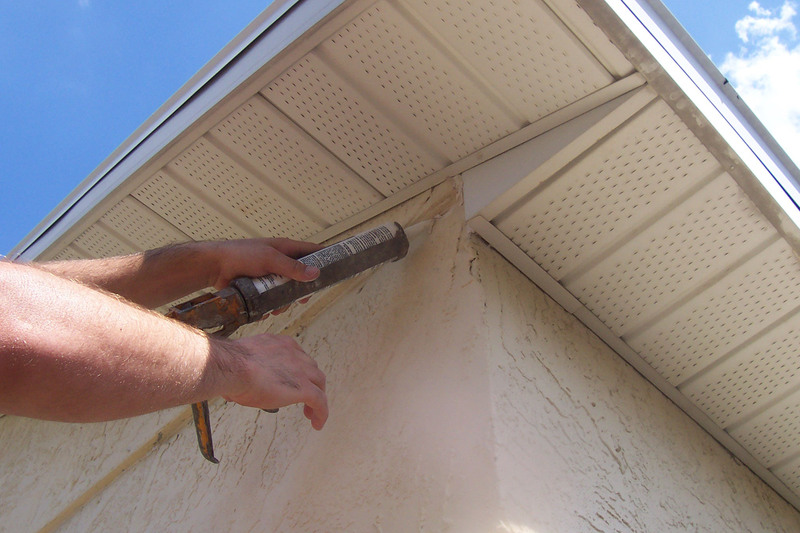 Make sure to get a quality sealer to prime your exterior. Make sure the type of sealer you use has high resin content. Check the labels. When repainting walls that are dusty use a chalk wall sealer, as paint does not play well with dust and chalk. If you can be bothered, clean off the dust and chalk ahead of time. Check the label on your primer or sealer to determine how long to wait before you begin painting. Waiting time will vary depending on primer and/or sealer type. Binders, which hold the pigment to the wall. Pigments, which is responsible for the colour. Solvents, which allows you to utilize the paint unto a larger surface area. As paint dries, the solvent evaporates, leaving behind only the pigments and binders. These are known as volume solids. Higher quality paints are generally higher in volume solids. To determine the percentage of volume solids in a brand of paint, check the manufacturer’s website or ask your local distributor. Among painters the most efficient technique in painting exterior walls is called spraying and back-rolling which requires two people to execute. One person uses the sprayer and the other uses a roller. What you will do is use paint sprayer over a certain area as you are spraying this, your partner will then use a roller to follow up on the surfaces you just sprayed on. What this does is it helps you achieve an even finish without wasting so much time. Also if you have the time and the budget, apply a second coating using the same technique. This strengthens the overall durability of the paint and it allows the colours you’ve picked to achieve a more vibrant look. The last step is to paint the doors, the frame, mouldings, and other areas that will enhance the overall aesthetic. Always remember that patience is always the key, don’t rush, and make sure you have steady hands as you paint the different areas of your exterior. With enough patience and not skimping out on the quality of paint and preparation, even a DIY exterior paint job will last you at least 10 years before it will start to show signs of ageing. If you’re looking for a painter, click here to get in touch with one.